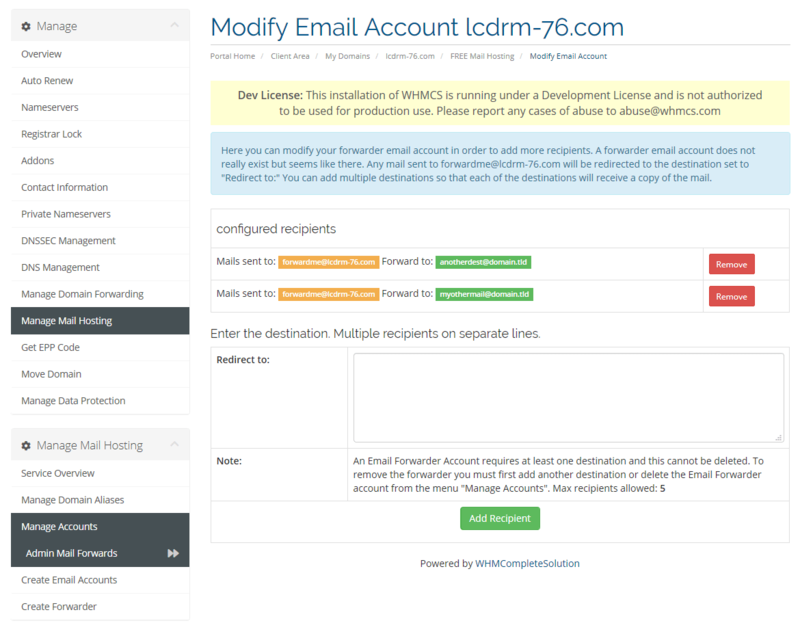 Admin mail forwarders for email accounts! Resellerclub & LogicBoxes Registrars provides with every domain free but limited Email Hosting. Your customers can manage this service through LogicBoxes proprietary OrderBox control panel. 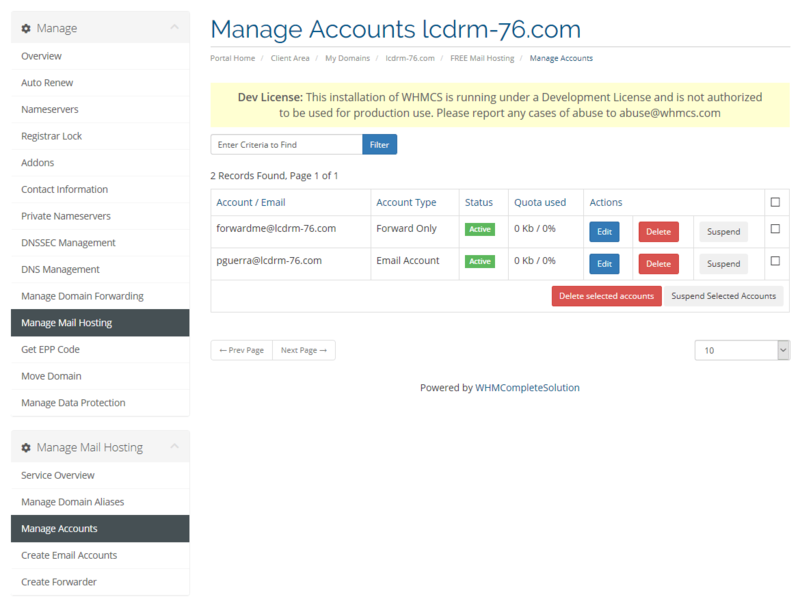 Unfortunately the resellerclub interface cannot be implemented into your WHMCS system to fit your corporate website design and you need to provide to your customers an external login link to the mail management interface, outside your WHMCS control panel and outside your WHMCS domain. 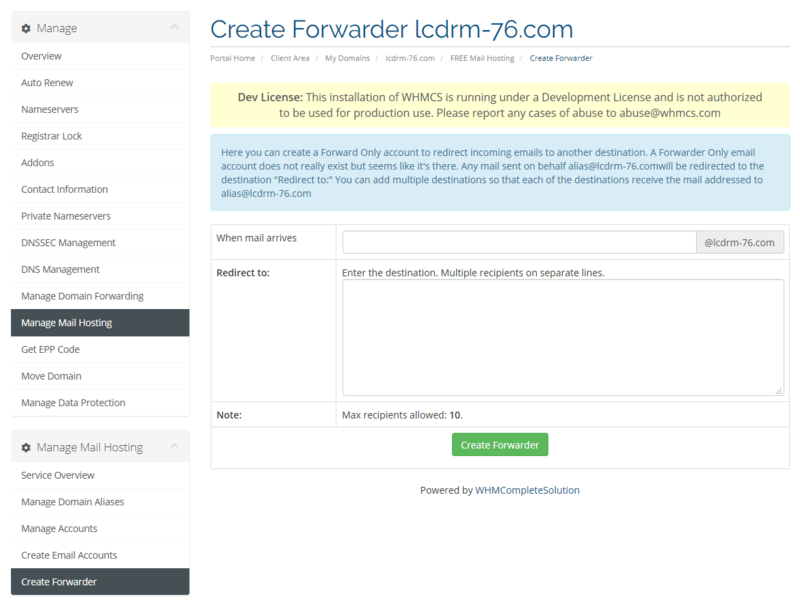 The WHMCS control panel does not offer any email hosting management interface and only offers a simple standard mail forwarding interface which allows only setup for email forwarders. But Resellerclub & LogicBoxes FREE Email hosting service is much more than forwarding an email! 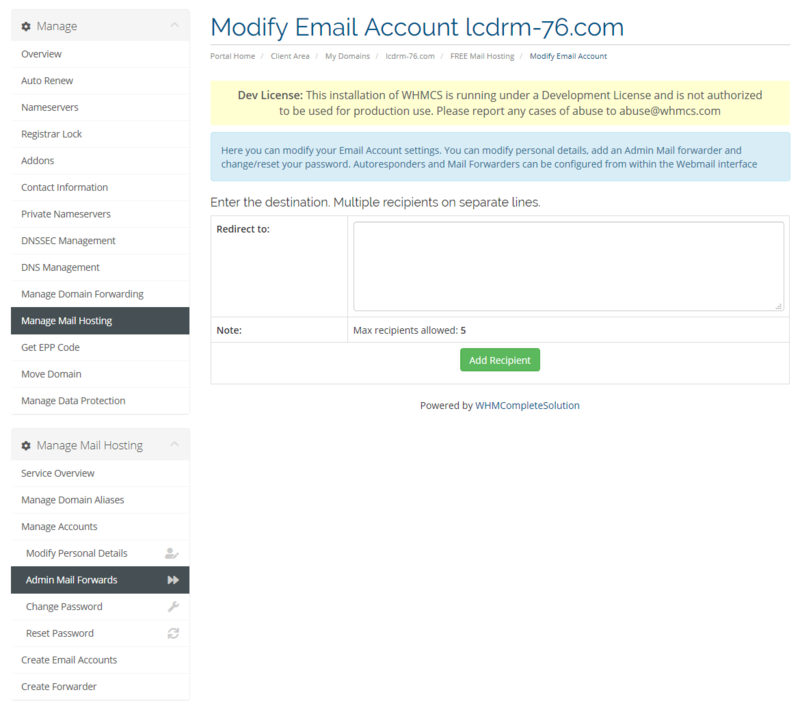 You can create and manage email accounts and forward-only accounts. The paid email hosting service (Business/Enterprise Email) further allows you to create and manage Mailing lists. 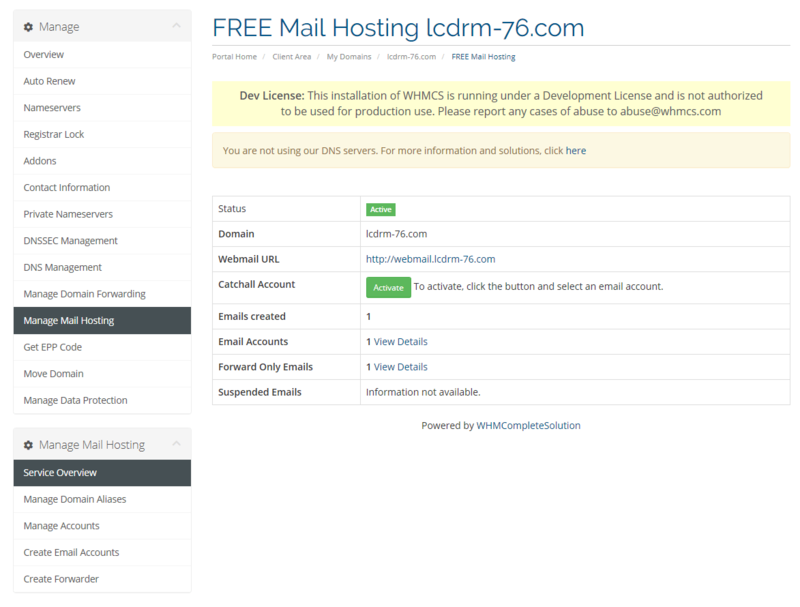 Every feature for the Free Email service and also for the Paid Email service can be easily managed om the WHMCS client area. 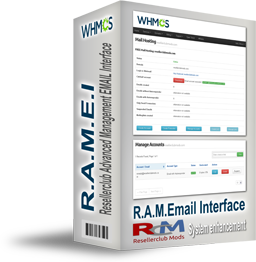 Our Resellerclub Advanced Management EMAIL Interface for WHMCS takes 100% care about all the features available for Resellerclub & LogicBoxes Free and Enterprise/Business Email hosting service and can be implemented for domain management (Free Email Hosting) and product management with our Provisioning Module for Business / Enterprise Email. 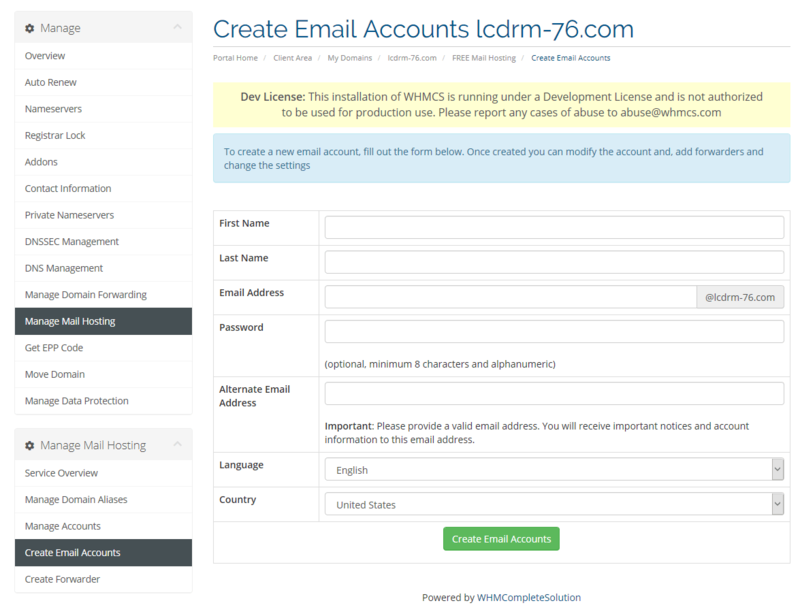 Look for yourself, how you can gain and present your customers with every email feature that ResellerClub and other LogicBoxes Registrars provides from within your WHMCS interface. 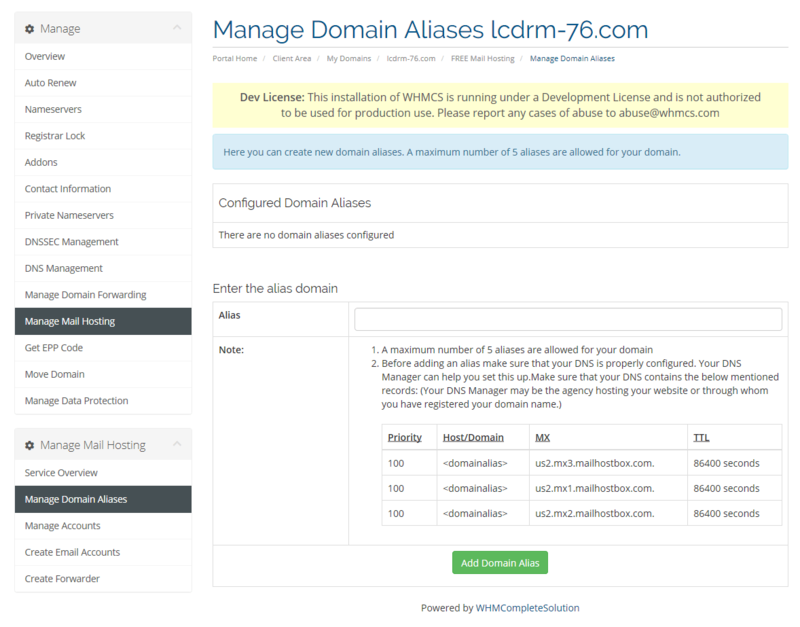 Multi LogicBoxes Support for ResellerClub, Resell.biz, NetEarthOne, Resellercamp, etc.